I have a corporate background so have tended to dress to "fit-in". You might say I presented an inauthentic image in an inauthentic world. I opted for Smartfit's Works Package with Hayley, and she took me on a journey of discovery - which colours suited me, or didn't; which styles suited my body shape, and didn't; hair style - the lot. My wardrobe needed a significant makeover and we went shopping together - she showed me how to choose clothes and where to shop inexpensively. 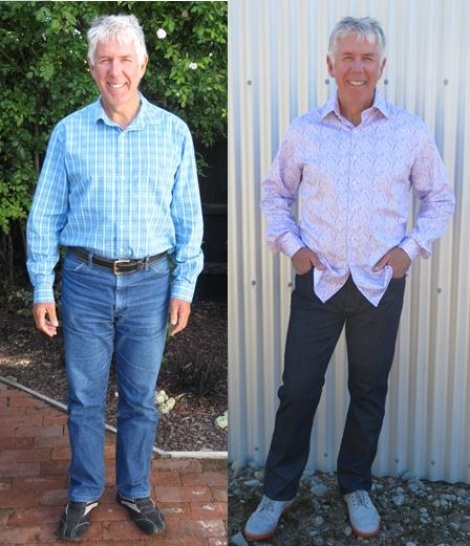 The process was at times challenging - for example when I discovered how those two new shirts I recently bought really didn't suit me at all, nor that favourite old jacket. What made it all possible was that Hayley demonstrated why something did or didn't work and I could see it for myself. So it's an education for life. We're taught in business that first impressions count yet we invest little effort into doing this well. For the courageous amongst you I strongly recommend you place your trust in Hayley as she takes you on a journey of self discovery. My new "look" has drawn attention including comments about looking younger which, to someone in their late fifties, makes me smile.